Instantly, Avalon leapt onto me, and compensated for the evening before. He entered a kiss-induced trance. This cat was all about exclusivity, and when granted that exclusivity, his love was immense. "Of course." His return would offend Avalon, but I couldn’t possibly leave Gilles outside in the rain for several hours. As soon as Gilles appeared at the front door, Avalon’s pupils widened to a pitch black. 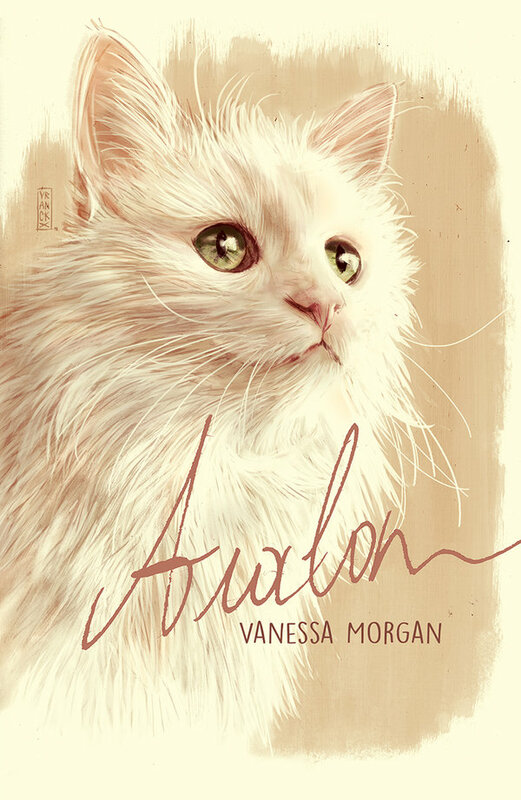 Being a cat of action, Avalon went through his usual attention-seeking routine: making a selection of irritating noises, scratching the wallpaper, and pushing objects to the ground. When that didn't work, Avalon opened Gilles' overnight bag and threw out a piece of clothing. His eyes so dark and evil they could be gateways to hell, Avalon stared at his adversary and waited for a reaction. He then pulled out a box of gel wax. Again, he looked up at Gilles to make sure he understood that all this bungling was meant to get a message across. A third object followed, then a fourth, a fifth, a sixth, until there was nothing. Vanessa Morgan is an author, screenwriter, and blogger. Two of her works, The Strangers Outside and A Good Man, have been turned into films. Her short film script Next to Her is currently in pre-production. When she's not working on her latest book, you can find her reading, watching horror movies, digging through flea markets, or photographing felines for her blog Traveling Cats (http://travelling-cats.blogspot.com). 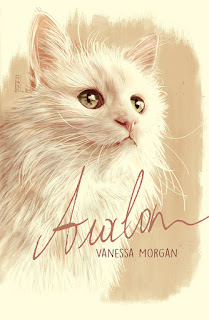 Avalon has appeared in several of her books and films.